With the month of January in full swing, this new year offers plenty of films to look forward to. Not all of the lists have to include that comic book film. Yes, I will go see it, but no, Infinity War is not in my top five of the must-see. The better story from the comic book world is Infinity Gauntlet . This tale is told through short moments in the various films and during the credits. While that cannot be stitched together coherently to its own product, I feel that’s a missed opportunity Kevin Feige of Marvel Studios did not want to get explored; the War movie is a two-parter which puts this film out of the running for being a truly 2018 product. This movie is technically a comic book product, but it is one that is non-American. The first film had an amusing premise of Nazis living on the moon and they decide to invade the Earth in 2018. This year is happening now and fortunately, we do not have to worry about any real-life invasions. Honestly, we do not know as the year has just begun, but to see this series of films which seems to borrow on the crazy conspiracies conjectured by Ancient Aliens will have some curious in how much fiction is going to imply reality. 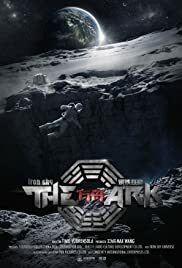 In this film’s case, it’s with two university dropouts (from China) who set out to decode a strange message coming from the moon. Somehow, the Illuminati get involved! I’ve never been too sure about the reboot of this video game franchise and with this cinematic take getting the revision too, my interest is peaked. I’ve watched the game trailers and enjoyed the unfolding plot about Lara Croft’s beginnings. There were moments where I was reminded of CW’s Arrow, even though I know this product is not. The mysticism and ancient lore are what drew me to this franchise in the beginning. While they are not as prevalent with these new games, the lighter look still has a hold on me. I have to see the live-action version just to see how much of antiquity will get revealed. Not a lot of production details have been revealed since this movie finished. Although Iron Man 3 is not director Shane Black‘s finest, I’m willing to give this writer/director a chance with this film set between the events of the second movie and Predators, where the heroes are victims on an alien planet. I doubt this movie is a soft reboot, and have to wonder what Black can do to expand the mythology. Although I read early comic books by Dark Horse which offers greater details in an expanded universe sense, I much prefer to stay within the theatrical canon until 20th Century Fox announces their own plans for a shared Alien-Predator-Ape (?) universe. Admittedly, to see Johnny Depp as Grindelwald has my curiousity. I want to see if he can pull off a character that is not Captain Jack. 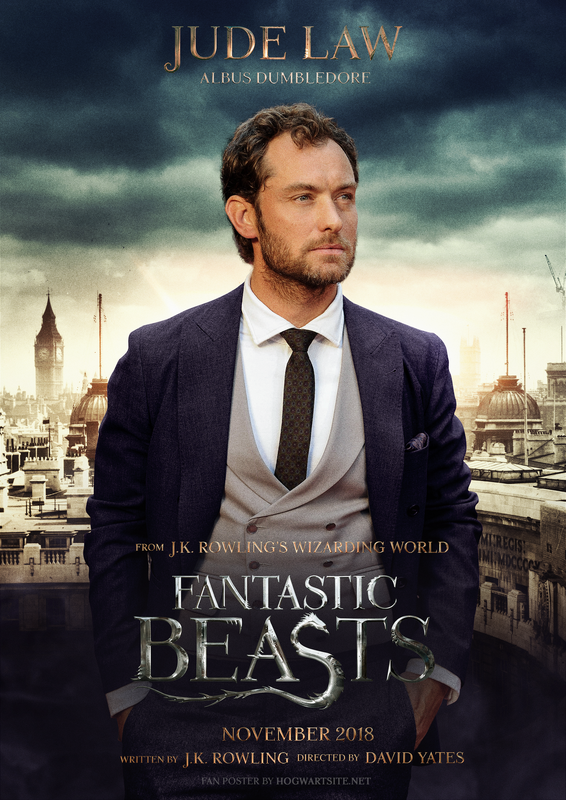 Plus, this addition to the Harry Potter universe offers a beautiful view of olde New York, and perhaps Edwardian England in this sequel. This side series is a welcome change to the core books. While the producers have said Newt Scamander (Eddie Redmayne) is not necessarily going to be the central figure in this set of films, I’m guessing he will be. Just how much of a later importance he gets will depend on who will finally put down Grindelwald when this set ends. Who does not want to know about the life of Farrokh Bulsara? Nobody, until he adopted the recognizable name of Freddie Mercury. This frontman of the band Queen led quite the life, and while I loved the initial casting choice of Sacha Baron Cohen, the man with many faces, the recasting to Rami Malek can be just as good. The press release of him posed in such an iconic pose has me confident he can work too. 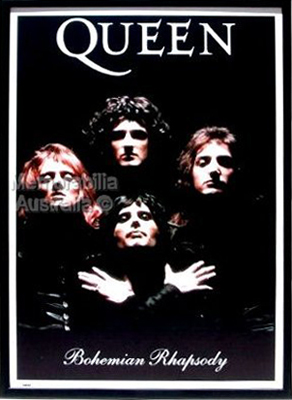 This biopic has the backing of Brian May and Roger Taylor; because of them, I feel confident this product will do the legacy of Mercury justice and before I go to this screening, I will be listening to the entire body of this band’s hits before racing to the theatre like a supersonic man. Nothing is gonna stop me from seeing this movie opening night, on Christmas Day 2018! 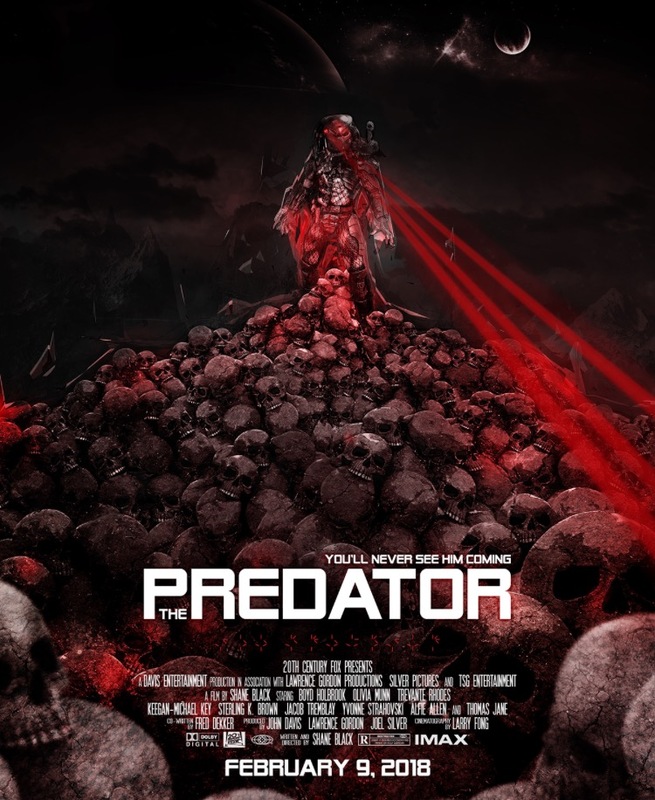 Hope Predator is going to be good!